Pump adapter including check valve, small 69973590 https://www.kaercher.com/ie/accessory/pump-adapter-including-check-valve-small-69973590.html Pump adapter with check valve for vacuum-resistant connection of suction hoses to pumps (e.g. garden pumps and high-pressure pumps for domestic use). Pump adapter with check valve for vacuum-resistant connection of suction hoses to pumps (e.g. garden pumps and high-pressure pumps for domestic use). Pump adapter for vacuum-resistant connection of suctions hoses to garden pumps and high-pressure pumps for domestic use. 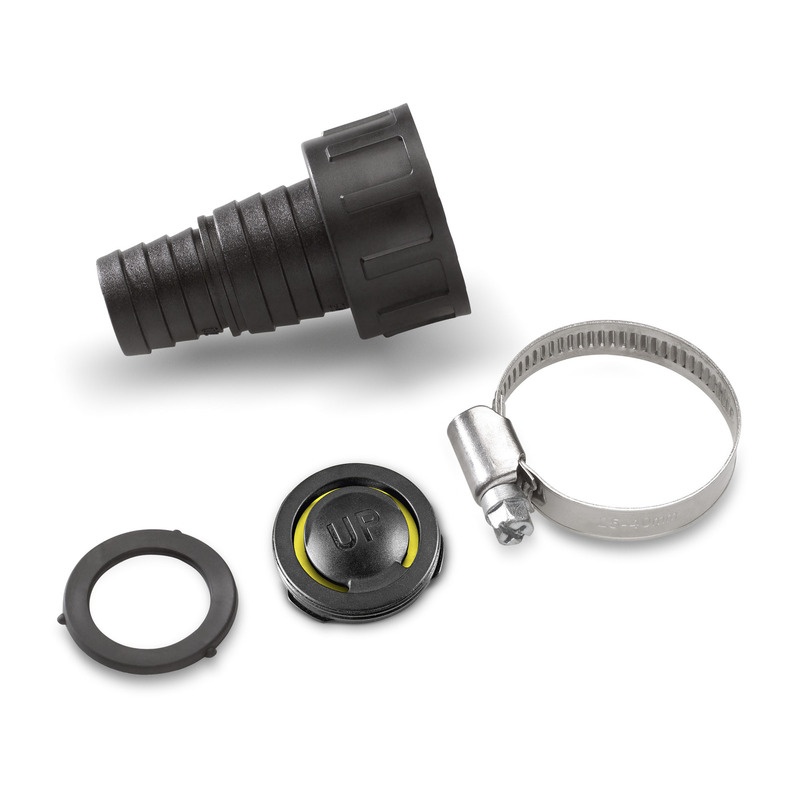 Adapter is ideal for pumps with 1" connecting thread (33.3 mm) and 3/4" or 1" hoses. Includes union nut, hose clamp, washer and check valve. Check valve can be used in submersible pumps or submersible pressure pumps to prevent water flowing back into the pump. Otherwise, a washer is used instead of the check valve. For mounting the pump connector to the pump, particularly if the hose is already mounted on the pump connector. The matching connection piece can be used depending on the size of the hose. Prevents the backflow of water that has already been pumped. Is particularly recommended for the use of submersible pumps and submersible pressure pumps. For connecting hoses to pumps. Pump adapter including check valve, small is rated 4.0 out of 5 by 2. Rated 4 out of 5 by SAW28 from Quality item, doesn't fit a garden hose Quality item, disappointed to find it doesn't fit a standard garden hose (UK). Had to buy a Hozelock 2176 Round Tap Connector 18mm Indoor Outdoor Post to attach to the Karcher adapter which went on the pump so that we could attached the garden hose. Worked well with this combination, the pressure from the pump didn't blow off the fittings. Rated 4 out of 5 by Robin1 from SP3 Pump review The SP3 is an excellent product. However it is very stupid to sell the product without the vital connection to attach the hose to; without this item the pump will not work at all!